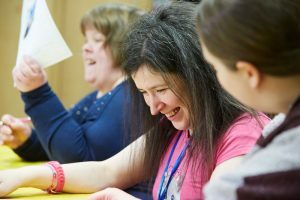 The aim of the Activity and Learning Hub (ALH) is to enable adults with a learning disability aged 18 years and over to live the life they choose and learn new skills through meaningful daytime activities. The project is person-centred and focuses on encouraging development for individuals whether that be in education, social skills, self-confidence, independence hobbies etc. Individuals are assessed on their needs and given a trial before being allocated a place to ensure suitability for the individual. ALH is an invoiced service that runs Monday to Friday 9:30am to 4:30pm. On Mondays and Tuesdays ALH offer Accredited AQA Education courses that explore a range of units including Performing Arts, ICT, Independent Living skills, Design Technology, Culture studies and much more. Completion of units are awarded with certification awarded by the AQA awarding body. On Wednesdays ALH offer cooking and media studies in the morning and a range of accredited courses and activity sessions in the afternoon. On Thursdays and Fridays ALH offer a range of activity sessions. Sessions include, Cooking, Gardening, Card Crafting, Art studies, Sewing, Drama, Creative Writing and Catering within an onsite internal café. For more information or to arrange a trial please contact us on 0114 276 7757. 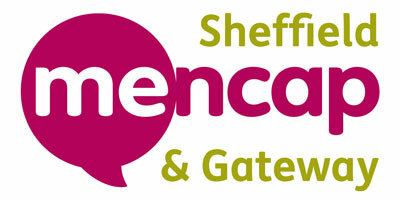 Alternatively, you email us at developmentmanager@sheffieldmencap.org.uk.